'Angry girl' experiences a whole lot of drama and teenage angst. ROSE Zarelli, a self-proclaimed work geek and angry girl, has a few confessions to make. She's livid all the time, she makes people furious regularly and high school might as well be Mars. 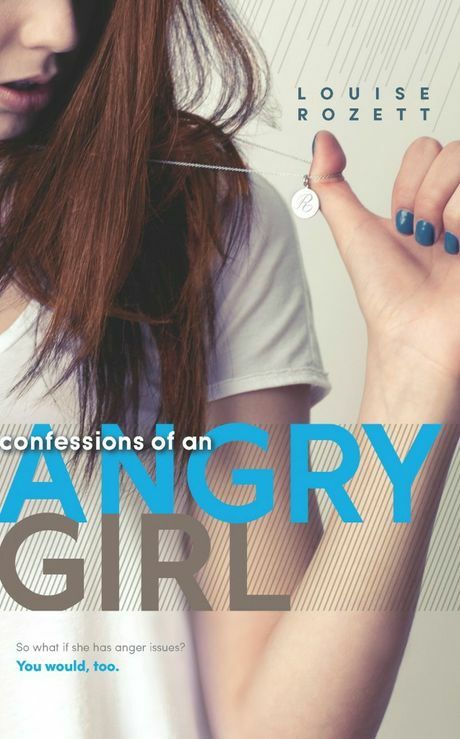 Confessions of an Angry Girl by Louise Rozett is the story of Rose and her trials and tribulations through high school. It's easy to see why she's angry - not only did she lose a parent last summer but now she's started high school and everyone's changing. She's tired of everyone treating her like a pathetic freak because her dad died in Iraq and is tired of all her friends doing stupid things. She just wants to move on and wants everything to be like it is supposed to be. Except that's not what happens and life is nothing but drama for Rose. I loved Rose's character - even in her worst moments, she's amazing. There's so much drama and teenage angst in the book (but of course you expect it) but every time Rose takes a hit she fights back. It's a great start to a series and is so much fun to read.